Sure, you could just cool your beers / beverages in a normal refrigerator, but why waste precious space and / or electricity, when there's Biersafe? 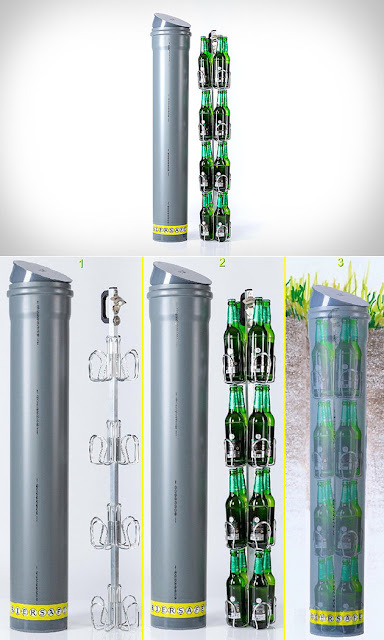 This Underground Beer Cooler uses dirt as insulation, and keeps up to 16 beers chilled inside a plastic tube that measures about three and a half feet deep. Plus, it also boasts a built-in bottle opener at the top of the rack. Continue reading for a longer demonstration video and more pictures.